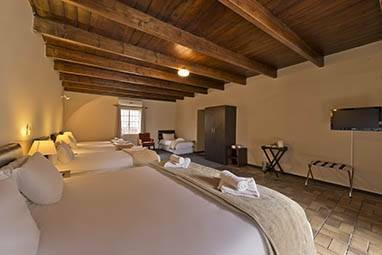 Calvinia Hotel offers various luxurious rooms and accommodation with single-, twin-, double- and family rooms. Long term accommodation can also be provided. 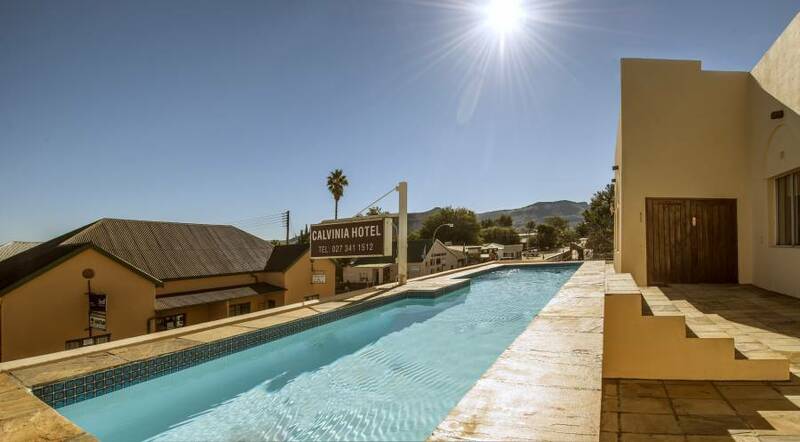 Calvinia Hotel is equipped with split unit aircons, free Wi-Fi, selected DSTV, tea/coffee facility and secure parking. Calvinia Hotel also provides an air conditioned conference facility for those who want to do training, conferences or any other function. We also provide a projector and a sound system with amp and speakers. The Conference facility can take up to 120 pax or more. The Conference facility is in a "Town Hall Style". We can also provide the Conference room in a "Classroom Style" or "Boardroom Style". 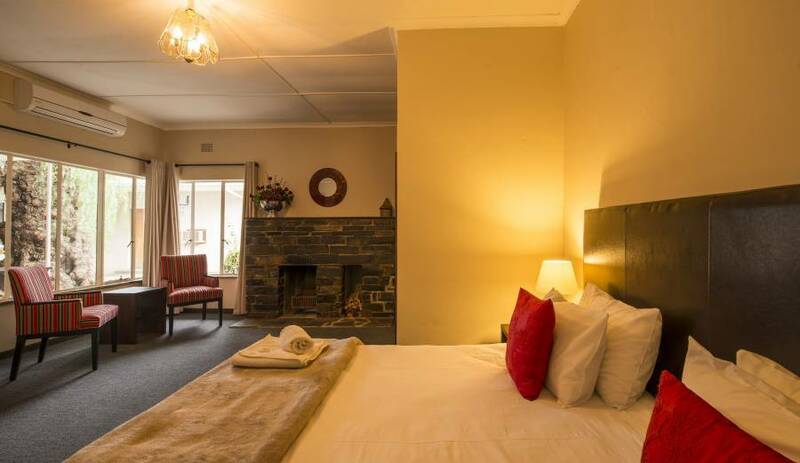 The Hotel offers 24 rooms all with on-suite showers & bathrooms, a Splash Pool to cool off in the summer heat, a Beer Garden with braai facilities, secure parking, Restaurant & Bar with a fire place both in restaurant and bar. You can enjoy the pleasures of Calvinia in the Hantam Mountains. Calvinia Hotel offers various luxurious rooms and accommodation with single-, twin-, double- and family rooms. Calvinia enjoys starlight and is renowned for its kaleidoscope of spring wildflowers coinciding with the Namaqualand wildflower spectacle. On the surrounding mountains, snow falls regularly. •	Pre-payments are not REFUNDABLE under any circumstance if the cancellation occurs within 21 days prior to arrival date. •	Cancellation 22 to 30 days prior forfeits 50% of deposit. The R27 is a provincial route in South Africa that consists of two disjoint segments. The first segment, also known as the West Coast Highway, connects Cape Town with Velddrif along the West Coast. The second runs from Vredendal via Vanrhynsdorp, Calvinia, Brandvlei and Kenhardt to Keimoes on the N14 near Upington. The connection between Velddrif and Vredendal has never been built, although it can be driven on various gravel roads. Originally the R27 designation continued beyond Upington all the way to Pretoria, but this section became part of the N14 and various other roads.